The Dublin Unified School District Board of Trustees has four candidates vying for three open seats in the upcoming election on November 6, 2012. To help Dublin voters make an informed decision, OneDublin.org asked each candidate the same five questions. Below is the response received from candidate Greg Tomlinson. Responses from candidates Dan Cunningham, Amy Miller and Austin Ogden are available here. 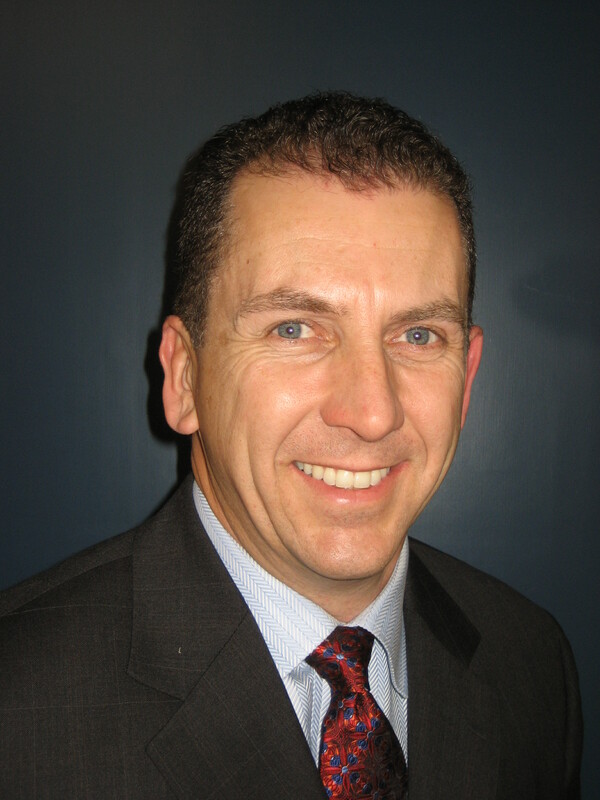 Tomlinson: “I have two children in school, a freshman at DHS and a 7th grader at Fallon. Like any parent, there is little I care more about than our children’s education, and I knew I could bring meaningful skills to the schools from both an education and facility construction perspective. I’m a product of public schools. I come from a family of professional educators, including my father who is a professor at the United States Naval Academy, and other relatives who were teachers or administrators. Since graduating with a degree in Business Administration from USC, I have spent my career in the real estate investment and construction business. “Four years ago, I saw the extraordinary potential of our district and that we were embarking on a major facility upgrade. I wanted to be a part of both of these, and it makes me proud to see the great success we’ve had on all fronts. Test scores are up, our facilities look better than ever, and we’ve implemented innovative learning initiatives at all schools. Our high school Academic Performance Index has increased over 80 points during this time, one of the highest increases in the state. We’ve almost completely rebuilt Dublin High and made major improvements to all other campuses. Tomlinson: “Like all districts in California, funding will be one of our largest challenges. If we were funded according to the Proposition 98 guidelines, we would be receiving $7,601 per student but the state is paying us $5,908 this year, over a 22% reduction. Since over 85% of our budget is salaries and benefits to people, reductions in funding can affect the quantity and variety of learning opportunities. “However, I believe we’ve done an outstanding job, especially under the circumstances, providing learning opportunities for all students and minimizing any impact on the classroom. We have not laid off any teachers. “This board has protected funding for the Regional Occupation Program (ROP) which offers classes that are designed to lead directly to a job or career path. When ROP needed a temporary loan to stay afloat due to the state delaying payments to districts, I voted for the loan. “To better serve students who struggle with Algebra II in high school, we implemented a two-year Algebra II program to augment the traditional one-year program. This is important as colleges view Algebra II as the best indicator of whether a student is capable of college-level math. At all grade levels, we are constantly evaluating the results of various intervention programs and enhancing those with a demonstrated track record of improved results. “I believe gifted students must also be challenged and inspired. We introduced a Mandarin world language program last year. At Dublin High School, we offer over 20 honors or Advanced Placement classes and our graduates have received acceptances at some of the nation’s most prestigious colleges and universities. To further recognize students who wish to challenge themselves with a rigorous curriculum, we created two additional diploma recognitions – Diploma with Distinction and the Advanced Scholars Diploma. I’ve been very pleased with the number of students both achieving and working towards these honors. Tomlinson: “This is an outstanding question because it identifies our single greatest responsibility and obligation to our students. If our students graduate being well-prepared for college, career, or public service, then we’ve accomplished our mission as a school district. “I feel fortunate to be part of a highly-functional school board and one key reason we’re so effective is that we all have a clear understanding of our roles. It’s the responsibility of the Board of Trustees, with appropriate input from administrators, teachers, students, and community members, to set broad direction for the district. This is often referred to as the “What a district should do” as compared to the “How it is done”, which is the purview of the professional educators such as the administration and the teachers. “There are many examples of our success. The Board recognized about four years ago that the state’s minimum graduation standards were not adequately preparing students for success in today’s global economy. Our language, math, and science requirements are now higher than most surrounding districts and the Board has remained engaged on this subject. My fellow Board members and I use our daily career experience to keep aware of the skills businesses are looking for in graduates. “The Board also prioritizes the arts and currently under construction is a state-of-the-art performing arts center. When rising construction costs were about to eliminate key features of the facility, we ensured that the funding would be there for a facility that would best serve the students. “Board members should also seek out new educational initiatives and present them for consideration to the administration. Every year for the last four years, I’ve attended a three-day conference sponsored by the California School Boards Association where I hear expert presentations from educators around the state and country on teaching methods, role of technology, and even physical school design that can all enhance the preparedness of students. Tomlinson: “The Board, and I especially, have a keen interest in the best use of our bond and parcel tax dollars. Before I was elected to the Board, I served on the Dublin Planning Commission, and I serve now on the District’s Facilities Committee. The Board is ultimately responsible for approving all bond projects and also allocates parcel tax funds as part of the annual budget process. “Legally, bond dollars can only be spent on capital items and projects as compared to parcel tax funds that can also be spent on programming and teachers. I’m very proud of our facilities projects, and I believe we’ve upheld the promise we’ve made to voters to spend these funds wisely and efficiently. The transformation of our high school is simply amazing. We’ve allocated and protected funding for every school in the district. We’ve embraced energy-efficiency improvements that, in addition to providing a more comfortable learning environment, also save money in utility costs that result in direct savings to the district’s general fund. Less money to PG&E means more money for items such as teachers, library media technicians, and reading and science specialists. “I know that if we continue to be vigilant in spending dollars as efficiently as possible, we can use dollars currently allocated to contingency to complete even more improvements, especially at some of our older campuses. Continued improvement at the older elementary schools and Wells Middle School. At Wells, we are under construction with a new classroom wing and media/library center that will replace almost all of the oldest classrooms. Completion of key facilities at Dublin High so it’s comparable to other area high schools. As an example, we are the only area high school without a competition pool for swimming, water polo, and other aquatic sports. Classroom technology tools that best engage our students with 21st century instruction. Possibilities include tablet-based textbooks, instruction, and ubiquitous Wi-Fi connectivity so students can collaborate on projects, access cloud-based programs, and seamlessly work on projects at home, at school, and in the classroom. Tomlinson: “As a trustee, it’s important that we serve as a connection between parents and the District. I’m fortunate that as a board member and parent, I can see this from both perspectives. “The key issue about which I hear the most has to do with either parent satisfaction or dissatisfaction with the teachers of their children. We’re fortunate in our district to have an incredible group of teachers where almost without exception, they care deeply about our children’s education and approach their job with utmost professionalism. “However, in any organization as large as DUSD where we have over 400 certificated teachers, there are bound to be occasions when someone will be dissatisfied with a teacher. One has to also recognize the realities of how the education system in our country is set up and the impact of the California Education Code, union contracts, California & federal law, and also basic human fairness and decency that everyone deserves. I’ve always found it more effective to work from within the “system” in a positive, collaborative manner and often issues can be resolved simply with clear communication of both perspectives. For more serious concerns, there is a formal resolution process in place. “We’re also embracing proven educational techniques as part of our district’s evolvement into a “Professional Learning Community” (PLC). Most teachers, administrators, and all current Board members have been trained in PLC practices of which one key tenet is frequent collaboration and sharing of “best practices” to ensure that student learning is maximized by all teachers using the techniques that are proven to be most successful. “I also hear, even within my own family, about the amount of homework students are assigned and inconsistent grading policies. Last year, we formed a committee of teachers, parents, and administrators to develop guidelines on these topics. The Board adopted new policies and directed schools to formulate policies within the guidelines that best serve their individual students. I just finished attending my daughter’s Back to School night at Dublin High, and it’s clear that we are well on our way to consistent grading policy and manageable homework loads. This will be an issue that we will continue to actively monitor this year and in the future. “Another issue that generated much discussion this summer was how we could improve the registration process. It is not nearly as parent-friendly and technologically organized as it should be. Fortunately, a solution is close at hand. Our student information system, Infinite Campus, has on-line registration capabilities and can even handle extra-curricular activities. We will have this system implemented soon and if a visit to the school site is still necessary, we will offer better hours, including some evenings, to better accommodate working parents. “At our last board meeting, I think we made a very positive change to “class rank”. None of our surrounding districts publish class rank and there has been a national trend away from it because it does not account for the comparative quality of students on a school by school basis. Some students were being denied scholarships because their class rank number was not at the absolute top even though they had grade point averages well above 4.0. Without a simple class rank number to filter applications, colleges must now look more closely at the “whole student”, the rigor of their transcript, and their other activities, attributes, and qualifications. “We did not make this decision lightly. Not everyone is aware that we have a student representative on the board that is elected to the position by their fellow high school students. The student representative made a very compelling argument that most students think class rank should be replaced with a better system and that it can be a hindrance to taking a well-rounded course load. In past years, the GPA difference between the 1st, 2nd, and 3rd ranked students has often been one one-hundredth of a grade point (0.01). “Our new system will recognize at graduation all students with a 4.0 GPA or higher and these students will have the opportunity to compete for the privilege of delivering the student address at graduation. We expect this system to recognize about 50 students a year rather than the handful that may have benefited under class rank, and we believe every student will benefit from now having their scholarship applications reviewed in a more comprehensive manner. “Issues I heard a lot about four years ago, but not so much anymore, have to do with communication and transparency. We’ve made dramatic progress on that front over the last four years including a far more robust website, podcasts, reaching out to the community through social media, and televising of every regular meeting with almost immediate on-line availability, among other efforts. I believe this is another example of the desire of this Board and administration to be connected and responsive to the community. “Final Thought: I want to thank OneDublin.org for the opportunity to address the community through these thoughtful questions. I apologize for the length of the answers and while it may seem hard to believe, there is much more that can be said about each question. 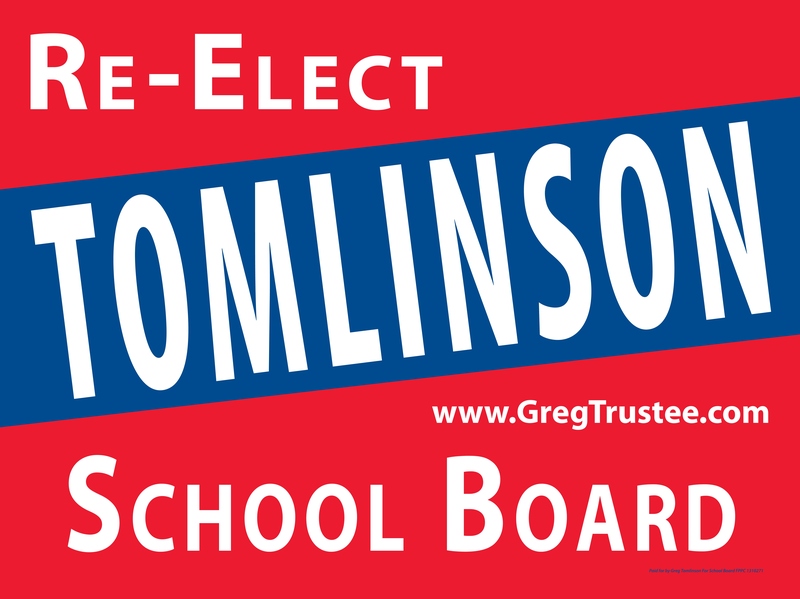 Your feedback is appreciated, and please feel free to contact me at any time at gregtrustee@gmail.com.